Mars is the commander of planets. It is the owner of power, energy, self-confidence and courage. Fire is its main element and red is its main color. Copper is its metal and barley is its grain. Aries and Scorpio is Mars’s sign. Mars is very strong in Capricorn sign and very weak in Cancer sign. A person’s nature would be cruel and violent when Mars is impaired. His self-confidence and courage decreases. A person faces problems in property and land. People face blood related problems. They face litigation problems. Sometime, he might go in prison. If weak Mars has relation with marriage part then person faces problem in marital life. One can do many remedies such as conduct, chanting psalm, gemstone and donation, to get rid of Mars related problems. 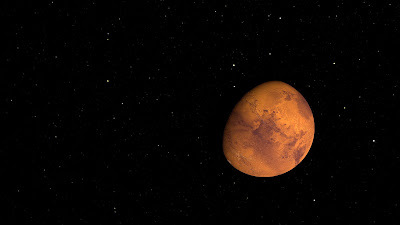 Mars become auspicious by doing this remedy. One should make donation to get early benefits. Make donation to any poor person. One can also make donation in front of lord Hanuman. If there is a health problem due to Mars then donate red fruit. If there is a problem of self-confidence then donate bundi. If there is a property or land problem then donate masur daal or barley. If there is a problem of debt then donate copper stuff or red clothes. If there is a problem of litigation or conflict then donate sweet products. If Mars is responsible for any problem then donate jaggery every day. Good Luck: On Tuesday, make Aarti of Hanuman with camphor. This removes obstacles from enemy.